It's a BOY!! 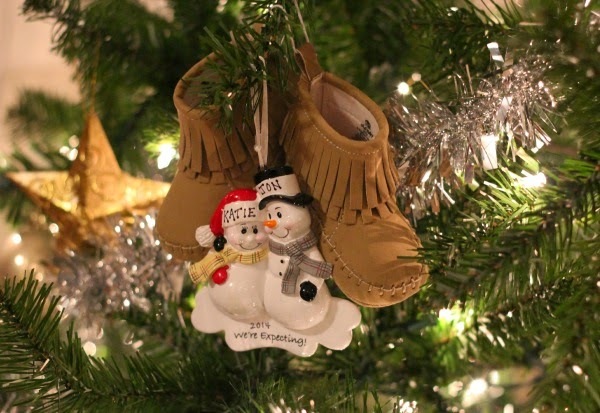 My mom got us this adorable ornament for Christmas, so I took a picture of it on our Christmas tree with the cute little booties I picked up at Old Navy earlier in the fall. We saw our little one on the ultrasound a few weeks ago and found out that we'll be having a boy! We are so excited to meet our son in a few short months!